The tawny frogmouth is one of Australia’s most intriguing and endearing birds. 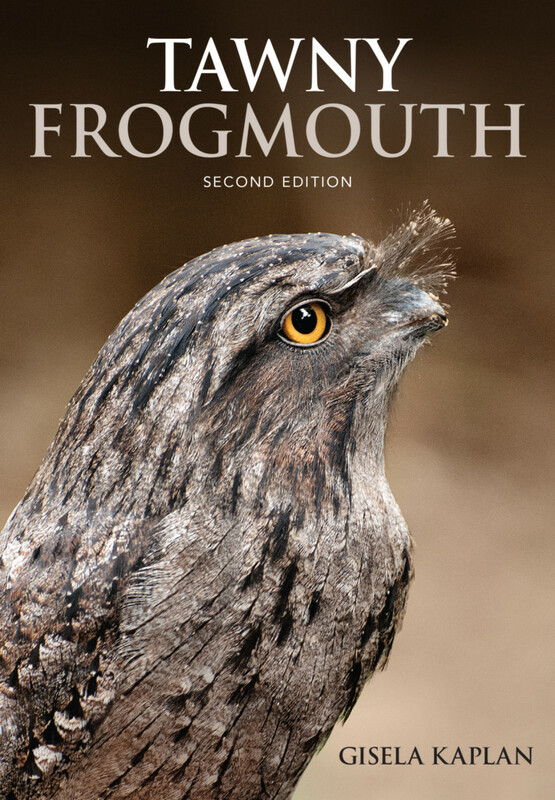 Written by award-winning author Gisela Kaplan, one of Australia’s leading authorities on animal behavior and native birds, this second edition of Tawny Frogmouth presents an easy-to-read account of these unique nocturnal birds, which can be found across almost the entire continent. Fully revised and updated throughout, this book combines 20 years of systematic observation with published research and information from regional surveys, and represents the most comprehensive single study ever conducted on tawny frogmouths. We learn that tawny frogmouths are very affectionate, have close bonds with lifelong partners, scream like prowling tomcats when distressed, fight with lightning speed and defend nest sites from reptilian predators by mobbing and spraying pungent feces at them. Uncompromising male fights are contrasted with the touching gentleness of males as fathers. We also learn how resilient and unusual tawny frogmouths are in the way they cope with heat and cold and scarcity of water, sit out danger, and use a large variety of food items.